The Project - 1497531932s Webseite! Mobile ICT products, such as smartphones and tablets, feature a significant environmental footprint whilst having a product life of few years only. 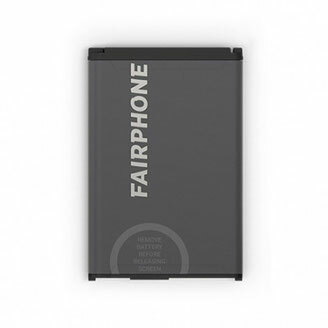 Electronic devices incorporate a number of scarce and valuable natural resources, in terms of their electr(on)ic components or battery unit. Out of those scarce resources, several cannot be recovered efficiently and there is only a small credit regarding the environmental impact through material recycling. Consequently, only keeping those products or components ‘alive’ allows continuous efficient use of the once invested natural resources and emitted greenhouse gases. This move subsumes approaches for keeping natural resources, materials, components and products in the industrial cycle beyond a first use phase. Circular economy’s implementation into corporate practice requires essentially how a company and its partners create value for the customer and how the company can capture the value. Product Design addresses product developments of modular smart-phones, of a tablet, following D4R criteria and being optimized for production in a FabLab environment, and the D4R redesign of a dedicated business to business device, i.e. a digital voice recorder. Approaches with in the product development are modularization, longevity for lifetime extensions and other Design for Reuse and Remanu-facturing approaches. 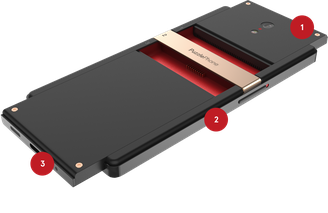 Demonstrating the feasibility of a modular product approach for smartphones: The concept of a modular smartphone (PuzzlePhone). Aspects on a more specific technical level regarding system integration technologies are addressed in ´Embedding`. Printed circuit boards are part of all target products. Sophisticated embedding technologies are a promising approach for modularization on the board level and a reduced technical and environmental footprint. For the first time in this industry’s context, a printed circuit board assembly will consider explicit design targets for the ‘Circular Economy’. Disassembly demands advanced sorting, handling, separation and disassembly technology to provide the capability to sort, disassemble and recycle end-of-life products. Main target are the harvesting of reusable components from smartphones, but as a “by-catch” certain critical materials could be extracted from the products. 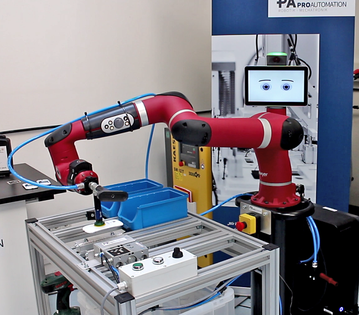 Automated high-speed sorting and disassembly of end-of-life devices, enabled through a combination of advanced optical recognition; handling technology; tooling and robotics: The project implements a disassembly speed, which makes processing competitive with given high-volume destructive shredding processes, and with recycling the devices as a whole in a copper or precious metal smelter. The latter conventional processes mean that some key elements are recovered but many others lost inevitably such as, aluminum, steel, magnesium, indium, rare earth elements, gallium, silicon and tantalum. Advanced recovery and refurbishment of components and sub-assemblies are addressed in "Reuse and Remanufacturing". 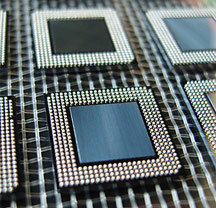 This includes desoldering of Ball Grid Array components, their rework and their re-use in new devices. High-quality desoldering and remanufacturing of semiconductor components for re-use: The project develops a desoldering, re-work and re-assembly process. Cascade re-use of selected components: Numerous potentially harvested components and subassemblies from smartphones and tablets meet the technical specification of a broad range of other products. They can be a sound substitute for new components.